Jan Amis Jessup, listed in Who’s Who of America, the World and Who’s Who of American Women as an “Arts Volunteer” and “Writer,” defines her love of the Arts with the Shakespearian quote, “like softest music to attending ears.” Nominated as the Opera Society’s Diva for the second time, Jan is responsible for bringing The Opera Society’s annual “Guess Who’s Coming to Dinner” event to the attention of then-President Fran Miller in the earliest days of the Society. These very special dinner parties continue to this day as favorite Opera Society evenings and fund raisers. Jan continues her years of service on Arts Boards both nationally and in our own community. Nationally, she has served as President of the American Symphony Orchestra League’s Volunteer Council. Invited to join the League’s Board of Directors, she continues to serve on the Directors council. Jan’s extensive international travels include leading a group of Volunteers, at the request of the Austrian Ambassador, to bring their message of musical support to Austria. Dedicated to music and the arts locally, Jan is the enthusiastic Founding President of the Symphony of the Americas Society, the result of the merger of two recognized organizations, each with an excellent history. The Symphony of the Americas, under the baton of Artistic Director James Brooks Bruzzese, performing locally and internationally for the past 17 years, joined with the former Fort Lauderdale Philharmonic Society. To quote Jan, this Society was on of the strongest, most continually successful Symphony volunteer organizations in the country. During Jan’s term as president, this merger continued successful favored events begun by the Philharmonic Society and initiated the first Symphony Ball to be held in the magnificent golden and crystal ballroom of the renowned Mar-a-Lago Club in Palm Beach. Jan also serves as a Trustee of the Harid Conservatory, and more recently completed her term as a member of the Board of Directors of Florida Grand Opera. She is currently a member of the Board of The Opera Society. She is a member of the Leadership Council of the Boca Raton Philharmonic Symphony and a member of the National Society of Arts and Letters. Expanding her volunteer role, she was a member of the Advisory Committee of the International Game Fish Association and currently is a member of the Advisory Board of Jim Moran’s Youth Automotive Training Corps, where she serves as a student mentor. Following a move to Florida in 1974 with her husband and three children, Jan began 30 years of volunteering with the Fort Lauderdale Symphony Orchestra, and continued when it became the Florida Philharmonic Orchestra. She served as Board Vice President in a number of capacities, and was President of the North Broward Society of the Symphony for four years. During her term, she spearheaded many of the Opus Showcase houses. Jan was a Founding Member and is a Past President of Pacers, of the Broward Center for the Performing Arts, and served on the Board of the Fort Lauderdale Opera Guild and the Miami City Ballet Board of Trustees. Recognizing her community service, Jan’s honors include being named a Woman of Distinction by South Florida Magazine, a nomination for the Spirit of Excellence Award of the Miami Herald, honored as a “Woman of Style and Substance” and honored as Woman of the Year – Music. 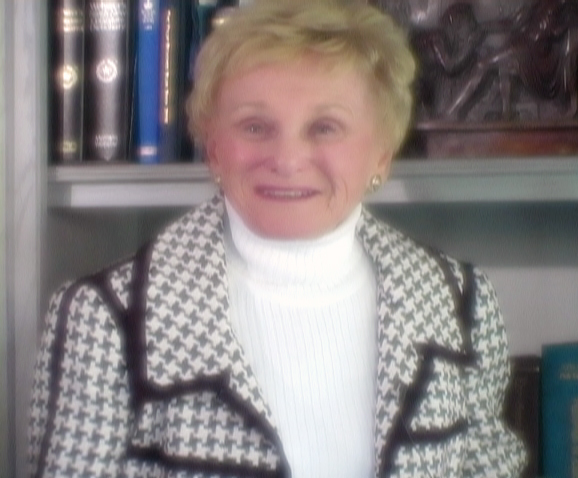 Jan was twice nominated by the Junior League of Boca Raton for the Volunteer Woman of the Year award and was honored as a Woman of the Year 2005 by the 1000+ Club of the American Cancer Society. Note: Jan was unable to attend the awards luncheon, so the following video was played at the luncheon.